Choosing a fly fishing setup for beginners is a challenging task, and this is a question we get quite a bit. Really, Redington is a phenomenal brand. 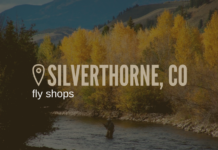 They’ve got great products minus the Orvis prices and they’re a perfect transition for some fly fishermen getting out of the beginner stages of their career. 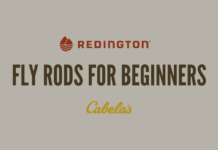 The one thing you’re not going to find with a Redington beginner fly rod combo that I dislike is bonus features that you’ll find at places like Cabelas. This isn’t a surprise, obviously, since they’re not a big retailer like Cabela’s, but for a company trying to land loyal customers for life it’s a small change in their supply line and this issue is fixed. 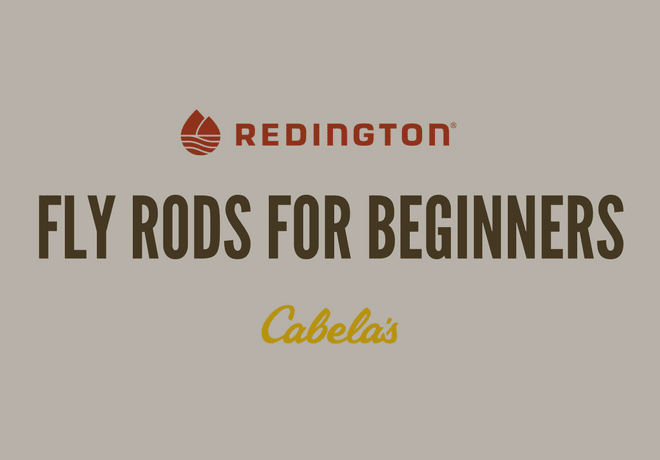 So, how do Redington Fly Rods stack up against Cabela’s for beginners? If you’re a true beginner, buy the Prestige Collection from Cabela’s. That’s not a biased opinion, but based solely on extras you’ll get in a Cabela’s setup. Take a quick peak at our Redington vs. Cabela’s price comparison table below and read on. This is a great beginner setup as your investment isn't as high as, say a $250 combo, for example. The biggest downside to going with this combo is there are a bunch of options. For trout fishing, something in the 5 wt. area is going to do the job best. Comes with a carrying case. Excellent value, bare bones setup. 5 stars based on price. For beginner fly fishermen/women, this is hands down the best combo on the market. Not only will the fly rod last just about forever, it comes with everything you need for the river. For anybody 2+ years into their fly fishing career, jump up to the RLS+ (you'll already have everything you need) it's a slight jump up. 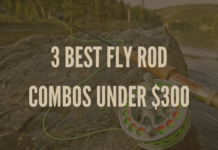 The best beginner fly rod combo there is. Period. Would have full star rating if it weren't for fluctuating price. If you're 2+ years into your fly fishing journey and have't purchased a more expensive rod, jump up to the RLS+ from Cabelas. Only 4/5 stars on Amazon make me a bit worried about the Cross Water combo from Redington, and I wouldn’t recommend you purchase it as a starter kit. When you compare Redington vs Cabelas Fly Rod Combos for beginners, the biggest issue I have is this combo not coming completely ready for the water. Sure, you’ll save $60 vs the Cabela’s Prestige Collection, but you’re missing some key components to hitting the water. The setup itself can be had for $100 on Amazon, and Redington does offer a 1 year warranty on their Cross water combo. 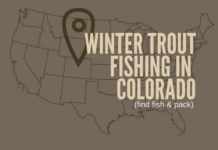 Biggest Pros: it’s an easy to cast, medium/fast action fly rod that does suit itself well to beginners. It does come with a cordura rod case (save it when you upgrade) and it is pre-spooled for the water. Biggest Cons: for a true beginner setup, I’d like the setup to be complete. With the Cabela’s Prestige Collection you’re getting everything you need for the water, and that’s important. 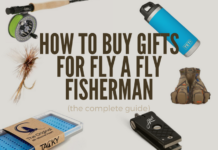 When I think of a beginner, I have to assume that their parents may not know everything they need for fly fishing and believe it or not, finding out you’re missing a line clipper on the water doesn’t make for the best beginner experience. Look, if you’re not a true beginner, chances are you wouldn’t still be reading this post. And if you fit that bill and you’re still reading.. chances are you’re looking for an upgrade to your current setup without breaking the bank. 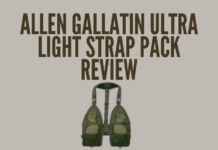 My recommendation for that would be the RLS+ setup from Cabela’s. It’s a great bare bones setup with a redesigned reel that’ll last for many years. 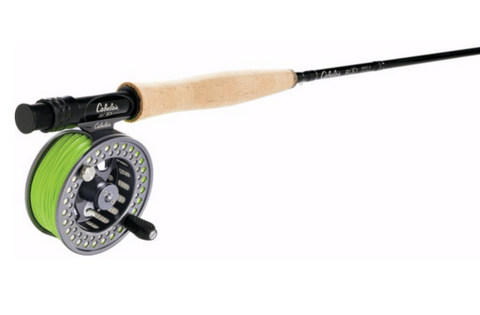 The Cabela’s Prestige Collection is built with the beginner, and the beginner only in mind. 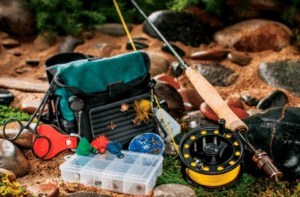 In theory, you could purchase this kit and hit the water (for trout) and be just fine. 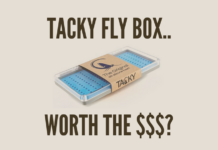 If you do decide to purchase this, please visit your local fly shop first. 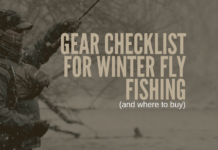 They’ll give you fly recommendations based on what’s hatching and you’ll have much better luck your first time out. 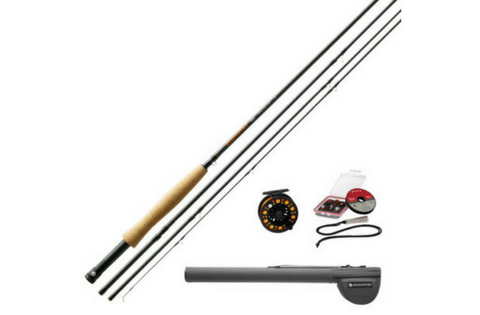 Biggest Pros: it includes everything and the rod itself last’s quite a long time. On a recent Colorado fly trip, I had to laugh when a buddy of mine was still bringing his along as a backup. He mentioned it was the only thing available when his had broken on a spring steelhead trip in years past and it still sees occasional use to this day. One thing, if you’re using this setup and want to upgrade something, try upgrading your fly line. There are some great options out there that improve the overall presentation. Biggest Cons: the price. Depending on the time of year, it can vary. Sure, you’re getting a great combo WITHOUT all the extras, but the extras that come with this setup aren’t exactly top of the line. They’ll work for the water, but you’re going to want to build on this setup (checkout our post about building a kit for beginners for more) right away. Purchase this combo at Cabela’s. And if you just insist on going for a Redington..
There’s always “that” guy. 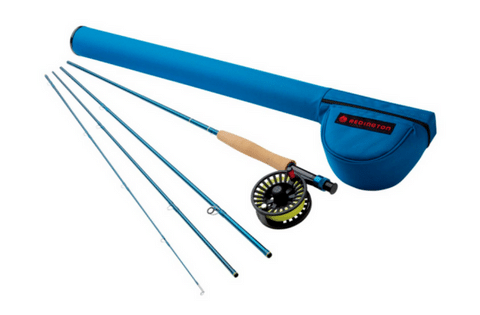 Maybe you’re purchasing a setup for your kid and have used Redington your entire life. This setup comes with all the bonus things you’ll find with the Cabela’s Prestige Collection combo we discussed above. 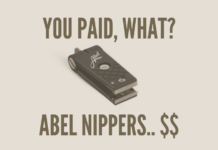 The combo itself is a little more expensive, ranging from $160-220 depending on what size you choose but it does come with a plastic carrying case. Redington products generally have a great warranty, the listing on Amazon doesn’t highlight it but as long as you’re buying from Redington themselves you shouldn’t have an issue. Buy the Redington Topo 4 Pc. Combo on Amazon.